"I Love Lucy" es ampliamente considerada como una de las mejores comedias de la historia de la televisión. 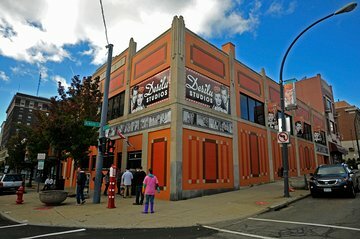 Visite el museo dedicado al éxito del espectáculo en la ciudad natal de Lucille Ball, Jamestown, NY. Admisión en el Lucille Ball Desi Arnaz Museum exhibe con orgullo el vestuario, recuerdos, fotografías y mucho más, incluyendo recreaciones de sets y exhibiciones educativas que destacan las vidas y las carreras de Lucille Ball y Desi Arnaz, una de las parejas más influyentes en la comedia estadounidense. Es una visita obligada para los fanáticos del espectáculo. ¡Mejora tu boleto para visitar el Centro Nacional de Comedia al lado! Aprende sobre la vida en común del dúo de la comedia y su contribución a la televisión estadounidense. We had a lovely trip to James town and this museum..last monday...street parking was free for 2hours and staff friendly and helpful. The museum's were next to each other and gave a good insight into the personal and professional lives of these talented folk.many happy funny and enjoyable times were evoked during the morning.it was good to see original doors furniture arrangements film clips and costumes from that era and to know that Lucy's daughter takes a keen interest in the museum still. We never got to see the Museum and it was not from the want of trying. We caught a taxi showed him our paper work with the address 10 West 3rd Street Jamestown NY when the taxi let us out he said this is it and we were up and down streets in the rain by this time. I rang them and they said it was a big brown building and there was a big brown building just not the right brown building and finally went into a shop where we spoke to the owner and he googled the Museum for us and told us it was about six hours away form NY. Because we were not from the States I tried to tell Viator they should put NY State not NY as we wasted time and money looking for the Museum which I would loved to have visited with a bit more info would have been great. Great museum! Every Lucy fan should go here at least once in their lifetime. After being so disappointed that the Lucy museum closed at Universal Florida, I never in my wildest dreams thought I'd get the opportunity to visit Lucy's birthplace and the Lucille Ball Dezi Arnaz Museum. We've just returned from a stunning visit and an experience that will remain a lifelong memory. The museum takes you back to childhood and remembering how brilliantly talented and funny Lucy was and that Lucy, Ricky, Fred and Ethel have such a valuable place in our hearts. Without the museum this would all be lost and generations would miss out in understanding where today's comedians learnt their trade! Having Lucie Arnaz narrating your journey through both parts is exceptional, nice touch. Highly recommended along with looking for the Murals close by!  If you are a fan of I Love Lucy, you'll definitely enjoy this place! The replica sets are the highlight of the museum. Artifacts and costumes are also very cool to see. It is not that big, so the longest you can spend in there is about 30 mins to an hour. Gift shop is nice with wide variety, but it is pricey. Would have liked to have seen more options for souvenirs for children. We enjoyed our time in Jamestown. I am a huge I Love Lucy fan....so getting to finally go to this museum was a thrill. The museum had wonderful artifacts from Lucy and Desi's life, actual sets from the show, tons of information about the show and the staff that worked at both parts of the museum were pleasant and very helpful.